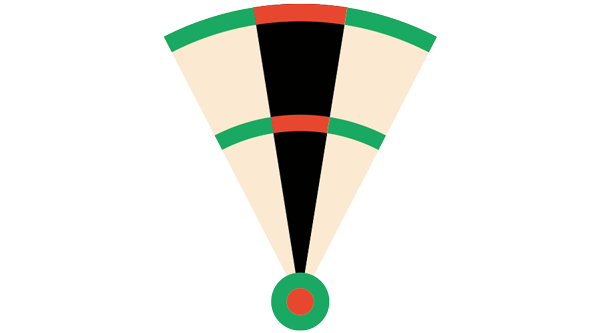 Pro Darter is a free online dart practice / scorer tool with loads of features and options. Play online against other players, or practice with a Trainer or alone. 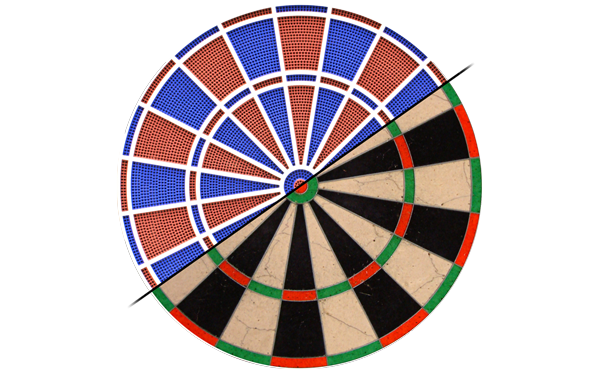 Pro Darter has been optimized to fit any screen or device. Desktop or Mobile, Windows or Mac, Android or iOS, all looks & works the same. No need to install any App or anything else, just Sign Up and start playing. Practicing is the key point for improving your game of darts. 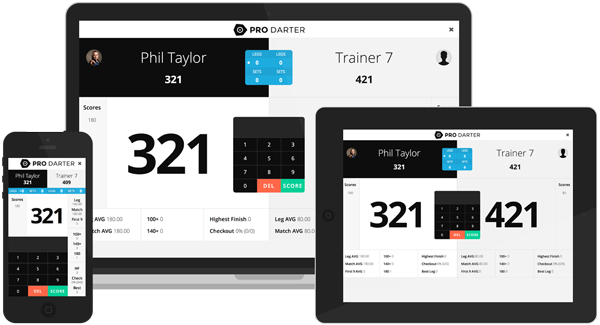 Pro Darter will help you in your practice routines with some nice practice games such as Bob's 27, Around the clock or 100 Darts @. Furthermore you can play any competition games (x01,cricket) in single mode or against a Trainer where you can choose between 8 different strength levels. Play real online games against any other player on earth. All you need is a Webcam, a working microphone to talk with your opponent and a Google+ Account. Thanks to Google Hangout the video broadcast has never been easier. Note that the Webcam is optional. It's also possible to play online games without webcam. 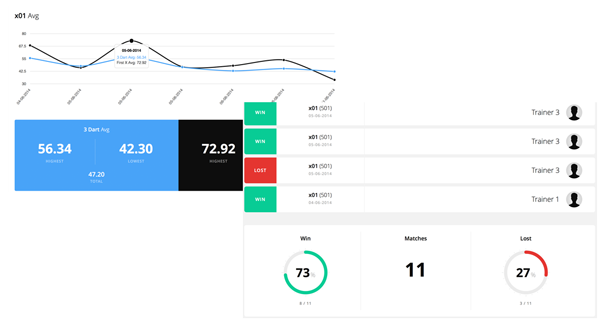 Pro Darter saves detailed statistics about your games. With these stats you have an precise overview on how your progressed, and which part of your game needs to be worked on. No matter what type of dart you're playing, you can use Pro Darter. 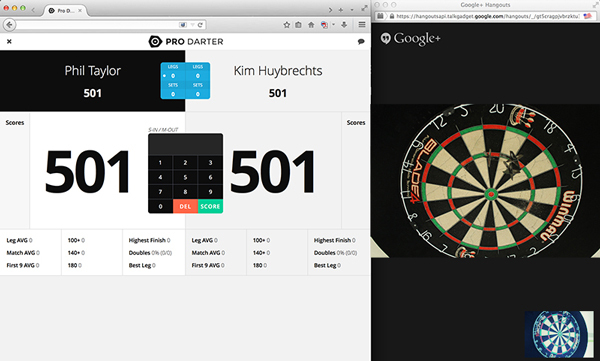 In both cases, Pro Darter is a good complemental tool to record your scores & matches and to improve your game.